Not all horror movies are scary or spooky. Some films, like “Shaun of the Dead” or “An American Werewolf in London,” actually have a big dose of comedy in them. 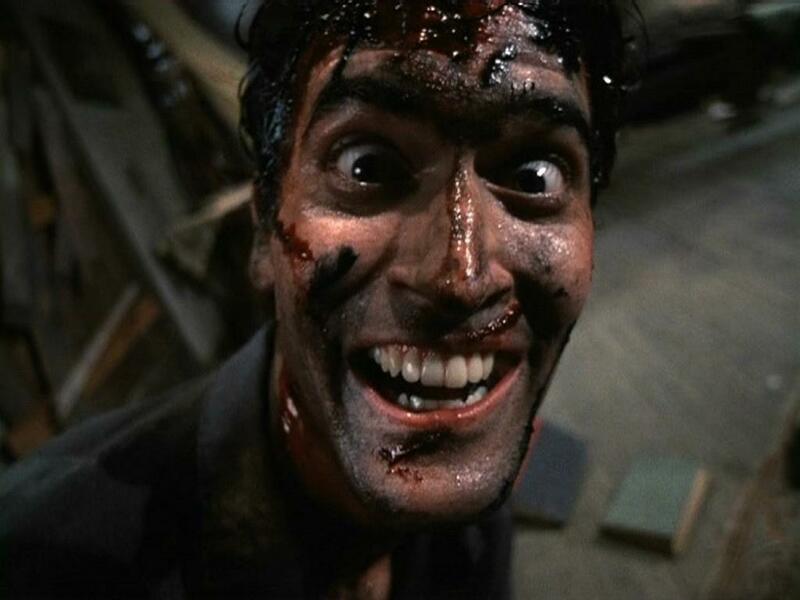 Others, like “Evil Dead II” or “Troll 2,” play up their campy elements. Film experts Marsha Gordon and Laura Boyes discuss quirky campy horror movies with host Frank Stasio. Gordon is a film professor at North Carolina State University, and Boyes is the film curator for the North Carolina Museum of Art and the curator of the MovieDiva series at Carolina Theatre. Marsha: What I like about these films and about this topic is that obviously the point of a horror film is to scare you. It is a visceral reaction. People want to close their eyes. People want to scream ... And then of course [for] a comedy, the whole point is to make us laugh. And so that combination of anxiety and release is actually really wonderful. Laura: Horror movies always reflect their times. They talk about the anxieties that we have in our culture, and most of the films we're talking about today are from the Reagan era … We're going through a renaissance of horror movies right now … And I have to say, it reflects our terror and desperation over the current state of the world. Marsha: This is a killer combination of Stephen King and George Romero who directed, of course, "Night of the Living Dead," and it has a funny attitude about it, even if it's supposed to be a little creepy. One of the tag lines is: The most fun you'll ever have being scared. Laura: That anthology structure dates back a really long way. Charles Dickens and Edgar Allen Poe used anthologies to tell their stories. A lot of 19th century writers of the supernatural [did as well]. So that's something that came into film and then into TV with things like "The Twilight Zone" and "The Outer Limits." Laura: Too gory for me. Marsha: This is truly a perfect horror-comedy film. It has everything. It is funny. It is creepy. It is fast-paced ... It's a knowing film, so it's not a film that you laugh at, and that I think makes it all the more fun. Laura: Traumatized children are both the subjects of these films and the audience for these films. Marsha: [In] this film, and so many of these films, the kid, especially [in] the 80s and 90s, is the one who sees that there's a problem and does something about it. So it's really empowering actually the kids. Laura: None of these films could afford any CGI, so all of the effects are very real, very tactile, and there are several people doing oceans of laundry at the end of every shooting day. Marsha: Fun fact about “Evil Dead II”: It was partly shot in Wadesboro, N.C. between Charlotte and Lumberton, USA. Marsha: It's interesting how many of these films ... Have to do with the bite and also have to do with consuming: “Troll 2” and “The Stuff,” my pick. [It's] this idea of contagion and spreading and ingesting something. Laura: [Director Peter Jackson] used it as a stepping stone to truly great things.